Ricky Martin. 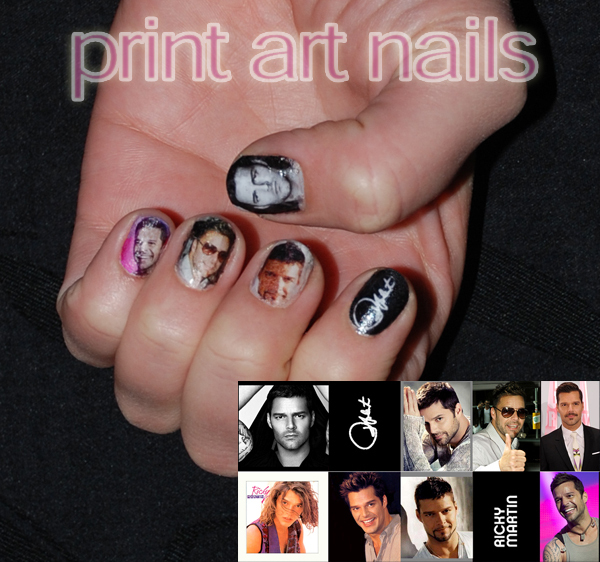 Fully dedicated nails decoration for Ricky Martin fans!. Wallpaper and background images in the Nails, Nail Art club tagged: nails decoration ricky martin nails art. i love those nails thier AWESOME!!!!!!!!!!!!!!!!!!!!!!!!!!!!!!!!!!!­!!!­!! Thanks Bellaevens, Check this out! we have beautiful designs, and lot of other artists too! It´s a new techics. It´s a microfilm that you apply on the nail with normal varnish, then file the rest of material and finish with top coat. Here is the link to the video; it´s in Spanish but you´ll see it´s very simple technic. It lasts about 20 days. They are not Stickers. It´s nice you liked it and thanks for the comment!